LUBBOCK, Texas – Round by round, Texas Tech has fought. First, fighting through 18 rounds of conference games to win the program’s first Big 12 Conference regular-season championship and then knocking out Northern Kentucky, Buffalo, Michigan and Gonzaga in the NCAA Tournament. The goal all along was to be in the fight. Now they’ve arrived where the road ends in Minnesota ready to win it all. Walking to the team hotel against the sea of fans! 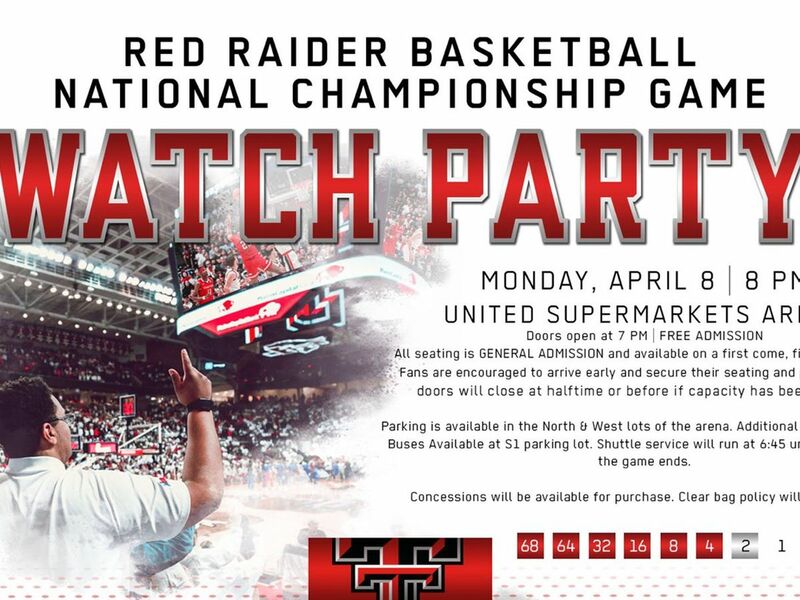 Watch this amazing sendoff for the Red Raiders!! 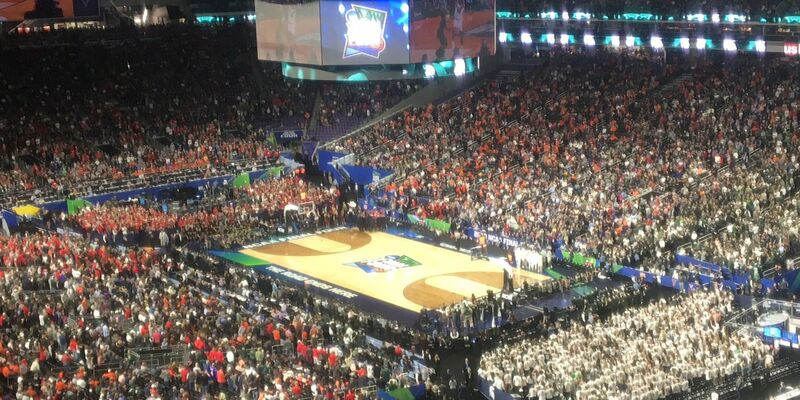 Texas Tech is making its first Final Four appearance where it will take on Michigan State at 7:49 p.m. on Saturday at U.S. Bank Stadium in Minneapolis, Minnesota following the first matchup between Auburn and Virginia. The Red Raiders, who have won 13 of their last 15 games, advanced to the Elite Eight last season and are now 7-1 under head coach Chris Beard in the NCAA Tournament the past two seasons. Tech has matched the program’s all-time win total at 30 after earning a 75-69 West Region Championship with a win over Gonzaga last Saturday in the Elite Eight, while the Spartans are on a nine-game winning streak and are back in the Final Four after a 68-67 win over Duke on Sunday to win the East Region. The Red Raiders are led by a senior class of Norense Odiase, Brandone Francis, Tariq Owens and Matt Mooney along with sophomore Jarrett Culver who is a consensus All-America and the first Big 12 Conference Player of the Year in program history. Beard enters Saturday’s game with a 75-30 record in three seasons leading the Red Raiders. 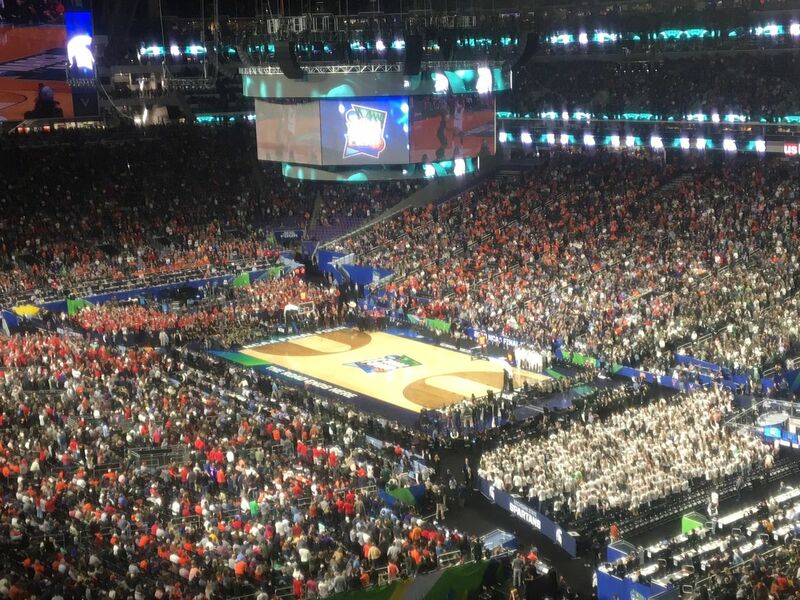 The national championship game is scheduled for 8:20 p.m. on Monday at the U.S. Bank Stadium. STAT RANKINGS: Texas Tech enters the Final Four second in the nation by limiting opponents to a 36.9 shooting percentage, is third in the country with teams scoring only 59.0 points per game and seventh with a 13.9 scoring margin and 179 total blocks through 36 games. The Red Raider defense ranks 10th by holding teams to 29.3 percent on 3-pointers and is 19th with a 3.4 turnover margin advantage. Offensively, Tech is shooting 47.1 percent which is 46th nationally and was the second best within the Big 12 Conference. Individually, Davide Moretti ranks second in the nation at 92.2 percent at the free-throw line where he is 95 of 103 in his sophomore season while Tariq Owens has the seventh most blocks in the nation with 88 and the 12th-best shots-per-game average at 2.44. Jarrett Culver ranks second from the Big 12 with his 18.9 points per game and Matt Mooney was also second in the conference with 1.86 steals per game. With 246 field goals made, Culver ranks second from the conference is 22nd nationally in made shots and 35th with 679 total points. Michigan State leads the nation with 709 assists, is third by holding opponents to 37.9 percent shooting and is fifth in the country with a 8.9 rebound-per game advantage. The Spartans have a 1.47 assist-to-turnover ratio which is 10th in the statistical rankings and are sixth with 5.3 blocked shots per game. Cassius Winston is second nationally with 289 assists and third with 7.6 assists per game along with being fourth out of the Big Ten with 18.9 points per game. FINAL FOUR MATCHUPS: Texas Tech will be playing Michigan State for the first time in program history. The Spartans are making their 10th trip to the Final Four with most recent appearance coming in 2015. Tech has also not played Virginia in program history, but could meet up with Auburn for the fifth time. The all-time series against Auburn is tied 2-2 with the last meeting coming in 2016 in Cancun. COACH NOTES: Texas Tech head coach Chris Beard has been named a Werner Ladder Naismith Men’s College Coach of the Year Finalist and is now 75-30 in three seasons as the Red Raider coach. Beard was named the Big 12 Coach of the Year this season after earning the Big 12 Co-Coach of the Year last season and leading the program to its first-ever NCAA Elite Eight appearance in his second year. Under Beard, Tech is 50-5 at home and has secured a third seed in the national tournament in back-to-back seasons. Beard is 8-2 in the NCAA tournament after leading the Red Raiders to a 7-1 record in the tournament the past two years and also guiding Little Rock to an 85-83 first-round win over Purdue on March 17, 2016 in Denver, Colorado. Beard is 3-0 in first-round games at the tournament, 2-1 in the second round and 2-0 in the Sweet 16, 1-1 in the Elite Eight and will be making his first Final Four appearance. 30-WIN MILESTONE: Texas Tech has matched the program’s all-time wins record that was also achieved in the 1995-96 season… The Red Raiders have now won 25 games or more four times in program history… The program also won 25 games in the 1975-76 season and set the program record with 30 wins in the 1995-96 season. Tech reached the 20-win milestone with its victory over Oklahoma State and has now recorded 20 wins in a season 13 times in program history. The team went 27-10 last season and has back-to-back 20-win years for the first time since 2003-04 and 2004-05 under head coach Bob Knight. We are in the midst of the winningest two years span in program history. 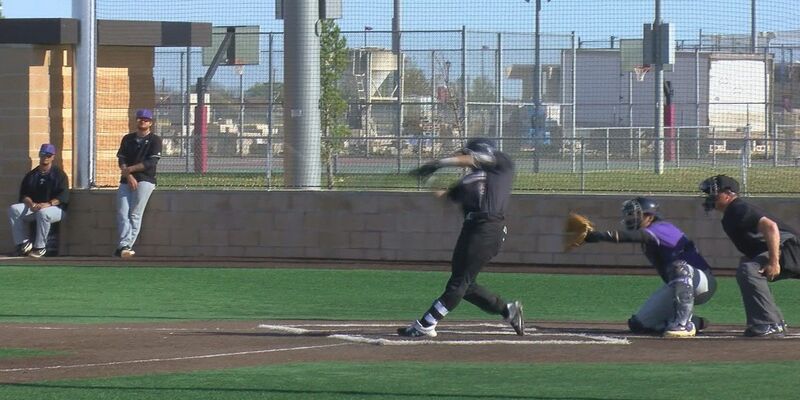 NEW CONFERENCE RECORD: Texas Tech established a new program record by winning 14 Big 12 games this season. The Red Raiders broke the previous mark of 11 games that was established last season and also set a new mark by winning nine conference games in a row. Before the last two seasons, Tech had recorded 10 conference wins in 2004-05, 2001-02 and 1996-97. ELITE DEFENSE: Texas Tech has allowed only five opponents to score over 70 points and has limited 12 to under 55 points. Gonzaga was held under 70 points for only the fourth time this season by the Red Raiders in the Elite Eight after shooting 42.4 percent after shooting 52.6 percent for the season. Michigan was limited to a season-low 44 points and it was the 22nd double-digit win by the Red Raiders, while Buffalo averaged 84.4 points on the season and was limited to a season-low 58 in the second round where it also shot 10 percent lower than its season average. Tech is limiting its opponents to 37.4 percent shooting from the field and to 23.4 percent on 3-pointers through its first four NCAA Tournament games. In the regular season, Texas was held to 29.6 percent shooting in Tech’s home finale which made them the sixth opponent this season to shoot under 30 percent, while NKU was held to 37.1 percent, Buffalo to 36.5 and Michigan to 32.7 percent to give the Red Raiders 22 opponents to shoot under 40 percent this season. The Wolverines were held to 1-for-19 on 3-pointers against the Tech defense and Gonzaga went 7-for-26. FAST STARTS: Tech has led at halftime by double-digits in eight of its last 15 games: at TCU (+18), Oklahoma State (+10), Kansas (+25), Baylor (+13), at Oklahoma State (+19), at Oklahoma (+11), West Virginia (+15) and TCU (+16). The only discrepancies during the stretch is Gonzaga (-2), Michigan (+8), Buffalo (+8), Norse (+4), WVU (-9) at the Big 12 Tournament, Iowa State (-2), Texas (+9). MAINTAINING POSSESSION: Texas Tech has a plus-4.3 turnover margin advantage during the NCAA Tournament after having only eight against Michigan and forcing NKU to commit 17 turnovers and Buffalo 16. Gonzaga committed 16 turnovers in a game with the Red Raiders having 13 in the Elite Eight matchup. The Red Raiders have forced 63 turnovers by their opponents during those games and have only lost 46 possessions during the tournament. For the season, TTU has a plus-3.4 turnover margin advantage which was second in the Big 12 and is 22nd nationally. Tech committed only nine turnovers at ISU, had seven against Texas and OSU and limited turnovers to eight against KU during a late-season stretch of wins. The team has 12 games with single-digit turnovers this season and had a season-low six turnovers in the non-conference win over Northern Colorado. Tech is on a streak of 16 straight games where it has not committed more turnovers than its opponents. HOME DOMINANCE: Texas Tech matched a program record by going 17-1 at home this season and is 50-5 at home under Chris Beard the past three seasons. In Big 12 play, the Red Raiders finished the year with an 8-1 record on their home court this season and are 22-5 during the Beard era. Tech is currently 93-75 in conference play and 248-90 all-time at the United Supermarkets Arena since the first game on Nov. 19, 1999. The Red Raiders went 9-0 this season at home in non-conference play to extend a 47-game non-conference home winning streak. The Red Raiders pushed that total to 47 with a 67-64 win over Arkansas in the SEC/Big 12 Challenge on Jan. 26. They will go into next season on a seven-game home winning streak with the only loss this season coming in a 68-64 loss to Iowa State on Jan. 16. 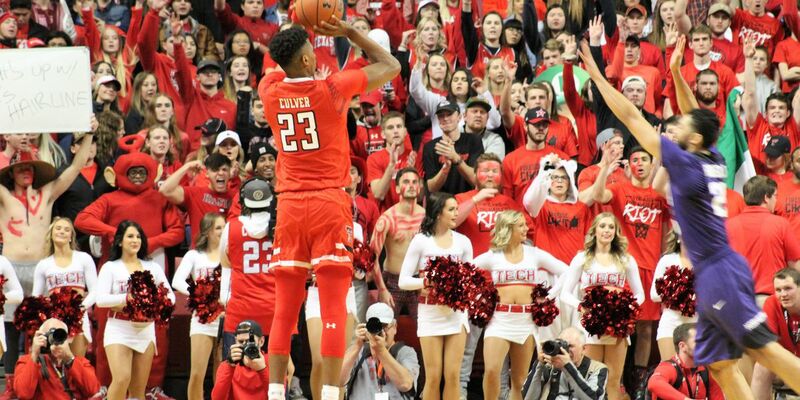 PLAYER NOTES: Jarrett Culver was named the first Big 12 Conference Player of the Year in program history and has also earned AP, NABC, USBWA and Sporting News All-America honors in a season where he is averaging 18.8 points, 6.5 rebounds and 3.8 assists per game. He was named the West Region Most Outstanding Player after averaging 21.5 points, 6.8 rebounds and 4.5 assist per game in the four tournament games leading into the Final Four. A sophomore from Lubbock, Culver led Tech with 19 points and had five rebounds in the win over Gonzaga after coming off a 22-point performance against Michigan where he hit nine shots and was 4-for-4 at the free-throw line. He started the NCAA Tournament by going off for 29 points, eight rebounds and a career-high eight assists in the first-round win over Northern Kentucky and then recorded his fifth double-double of the season with 16 points and 10 rebounds against Buffalo. He enters the Final Four having scored 1,094 career points after coming into the national postseason having recorded a career-high 31 in the regular-season finale at Iowa State and then his fourth double-double of the season with 26 points and 10 rebounds in the Big 12 Championship quarterfinals against West Virginia. Culver averaged 7.5 points and 5.0 rebounds per game in last year’s NCAA Elite Eight run, including scoring 11 points against Florida and Villanova. Culver had 11 points and nine rebounds against Florida to help propel the team to the Sweet 16 as a freshman. This season, he was 10-for-17 from the field with three 3-pointers and also knocked down six free throws to help knock off the Norse in the first-round matchup before adding five assists to his double-double against the Bulls. Culver is the first player to reach 1,000 points as a freshman-sophomore in program history and is the 42nd player in program history to reach the milestone and is currently 31st on the all-time scoring list. His 17.8 points per game in Big 12 play ranked as the program’s fifth most. Culver was named the Big 12 Conference Player of the Week three times this season after he earned the award following his 31 points against ISU that followed 16 points and seven rebounds against Texas in the home finale. He won his second Big 12 weekly honor after going for 26 points against Kansas and followed it by recording his third double-double of the season with 19 points and 10 rebounds in the win over Oklahoma State. Culver has led the team in scoring in 24 of 36 games and finished the conference campaign averaging 17.6 points, 6.8 rebounds and has 57 assists. Culver is a finalist for the Jerry West Award finalist and John R. Wooden Award along with being on the Oscar Robertson Trophy and Lute Olson Award watch lists. He has scored in double figures in 35 of 36 games and is shooting 47.6 percent from the field overall and was 44.6 percent in Big 12 play. Culver had recorded a previous career-high with 30 points against Abilene Christian on Dec. 20 where he went 12-for-13 from the field and hit four 3-pointers. He was named the Big 12 Player of the Week for the first time this season after the performance and followed it by going to New York and scoring 25 points against Duke. Culver is averaging 21.9 points and 6.6 rebounds per game in the last 10 games where he is shooting 43.5 percent from the field and also has 40 assists and 23 steals in those games. Davide Moretti drilled two crucial 3-pointers late in the win over Gonzaga where he finished with 12 points to help lead the Red Raiders to the Final Four. He has scored in double-digits in 11 straight games after also going 5-for-7 from the field with three 3-pointers against Michigan. Moretti finished the game with 15 points and four assists to help lead the team back to the Elite Eight and is currently averaging 12.0 points with five 3-pointers and is 11-for-13 at the free-throw line in four NCAA Tournament games. He was named an All-Big 12 Conference Third Team selection as one of the top shooters in the nation and is currently second in the country by shooting 92.2 percent at the free-throw line where he has gone 95 of 103 this season where is only behind Gavin Peppers who finished his season at 92.4 percent for Nicholls State. Moretti is shooting 50.2 percent from the field and is 46.3 percent on 3-pointers to go along with his free-throw percentage. A coach’s son from Italy, Moretti is averaging 11.6 points and 2.5 assists per game in his second season with the program. He scored 11 points against Buffalo after going 5-for-6 from the free-throw line following a game where he scored 10 points and had five rebounds in the win over NKU on Friday. Moretti averaged 4.8 points per game during last year’s NCAA tournament as a freshman, including scoring seven in the Sweet 16 win over Purdue before going for seven more in the loss to Villanova. He scored 20 points with four 3-pointers at Iowa State in the regular season finale at Iowa State. He hit two 3-pointers in the conference tournament quarterfinal to extend a 21-game streak of making a 3-pointer before having that streak end without one in Tulsa during the first two round. His three 3-pointers last Thursday against Michigan was the 13th time this season he’s had three or more in a game and he has now made 69 this season. He’ll come into the matchup against Michigan State shooting 22-for-41 on 3-pointers and 31-for-33 at the free-throw line in the past 10 games. Back in the regular season, he led Texas Tech with 20 points after going 12-for-12 from the free-throw line and 2-for-2 on 3-pointers at Oklahoma State and followed it by scoring 15 points at TCU with three more 3-pointers. Moretti, who averaged 13.2 points and 2.7 assists in conference play, has made a 3-pointer in 30 of 36 games this season for the Red Raiders. Moretti recorded a career-high 21 points against Arkansas in the SEC/Big 12 Challenge after going 6-for-9 from the field with three 3-pointers. He shot 53.5 percent on 3-pointers in conference play and is 69-for-149 from beyond the arc this season and has made 95 3-pointers in his career. Moretti scored in double figures in 16 of 18 Big 12 games this season and now has 546 points through 73 games in his career. He has started all 36 games for the Red Raiders this season after making one start in 37 games played as a freshman. Moretti made a career-high five 3-pointers against MVSU in non-conference play and has 10 games with four more assists, including having a career-high eight assists in the win at Oklahoma State. Mooney was named to the West Region All-Tournament team and enters the Final Four averaging 11.8 points per game along with contributing 16 assist and 12 steals through four tournament games. He helped lead the Red Raiders past Gonzaga by scoring 17 points and led the team with five assists. In the win over the Bulldogs, Mooney was 6-for-12 from the field and 4-for-4 at the free-throw line. He established a new career-high with eight assists in the win over NKU in the opening round and is averaging 11.0 points, 3.4 assists and 1.9 steals per game this season for the Red Raiders after also having 10 points against Michigan in the Sweet 16 and 11 points against Buffalo. A graduate transfer, Mooney earned Big 12 Conference Second-Team honors along with being named to the Big 12 All-Newcomer Team and Big 12 All-Defensive Team. He came into the first NCAA Tournament of his career after a game against WVU where he hit three 3-pointers and finished with 13 points and five assists for the second straight game. He went for 13 points, four steals and five assists in the win over Iowa State in the regular-season finale and now has a team-high 48 assists in the past 10 games. His conference season was highlighted by scoring a season-high 22 points at Texas where he was 8-for-10 from the field with three 3-pointers and scored in double-figures in 10 conference games this season. He now has three games in his collegiate career with five 3-pointers and has 43 3-pointers this season for the Red Raiders after making two against the Wolverines and one against Buffalo and NKU. His production includes 12 games with five assists or more, including seven games with six assists before his eight against the Norse in the opening round. Through the 18 conference games, he averaged 11.1 points, 2.7 rebounds, 1.6 steals and 3.1 assists per game in Big 12 play. An Illinois native, Mooney started his career at Air Force before playing two seasons at South Dakota where he led his team in scoring both years. He is shooting 42.2 percent from the field this season, has scored in double figures in 21 games and leads the team with his 67 steals after having a team-leading 12 in the first four rounds of the tournament. He’s had at least one steal in 31 of 36 games this season. Mooney transferred to Tech having recorded 1,480 points, 166 steals and 228 assists at Air Force and South Dakota. He now has 1,874 points, 233 steals and 350 assists in his collegiate career. Owens electrified the Tech team and fan base with a pair of huge second-half dunks and also had 10 rebounds and two blocked shots against Michigan in the Sweet 16 win and followed it with nine points, three blocks and seven rebounds in the win over Gonzaga. Owens, who is playing in his first NCAA Tournament of his career, went for 10 points and seven rebounds in the win over Buffalo after scoring 12 points with five blocked shots in the win over Northern Kentucky. He owns the single-season program record at 88 with 10 coming in the first four rounds of the tournament. He did not have a blocked shot against the Bulls which was the first game this season without one, but he now has five in the past two games. Owens went 4-for-5 from the field against Gonzaga and was 4-for-4 against Buffalo after going 6-for-7 from the field against the Norse. He’s currently shooting 16-for-23 (69.6 percent) in the NCAA Tournament. Back in the regular season, he had a season-high 14 rebounds in the win over Iowa State in the regular-season finale and then went for 14 points against WVU at the tournament leading into the tournament. He would record his third double-double of the season by securing 13 rebounds at TCU where he also added 12 points in Fort Worth. He secured his second double-double of the season by scoring 12 points and adding 10 rebounds in the first matchup at Kansas. An Odenton, Maryland native, he had one of his best offensive games of the season after scoring 17 points in the first matchup against TCU where he was 7-for-9 from the field, including going 2-for-2 on 3-pointers in the first matchup between the two teams. Owens is averaging 8.9 points, 5.8 rebounds and 2.4 blocked shots going into the game against the Spartans. He had 43 blocks in Big 12 play and was fourth in the conference with a 60.2 shooting percentage. Owens, who led the BIG EAST in blocks the past two seasons while playing at St. John’s, established a new Texas Tech single-game record with eight blocks in the win over Memphis on Dec. 1 in Miami after starting his Red Raider career with six blocks against Incarnate Word in the season opener. He had a season-high 18 points against Southern Cal in Kansas City and recorded the team’s first double-double with 13 points and 11 rebounds in his program-record eight-block performance against Memphis. Owens transferred to Tech after playing his freshman season at Tennessee and then two years at St. John’s. He came to Lubbock with 179 blocked shots and now has 267 in his career. Odiase recorded his first double-double of the season with a career-high 15 rebounds and a season-high 14 points in the second-round win over Buffalo in Tulsa and had four rebounds against Michigan in the Sweet 16. He’s currently 8-for-10 from the field and has 13 rebounds through four games of the NCAA Tournament. He has made 109 career starts and played in 124 games as a Red Raider and is averaging 4.2 points, 5.2 rebounds and 1.0 block per game in his senior season. He was 4-for-4 from the field against Buffalo and had seven of his 15 rebounds on the offensive end of the court in the second-round win. The most veteran player in the program, Odiase scored the first four points in the win over NKU and also had two blocks in the first-round game. He has played in nine NCAA tournament games and has 33 rebounds in those games. In the regular season he would record back-to-back double-digit rebounding performances with 11 rebounds at OU after having 10 against West Virginia in the regular season and then had a three-block performance against Texas to highlight his success down the stretch for the Red Raiders. Odiase also had five rebounds in the win over ISU in the regular-season finale to finish with nine conference games with five or more rebounds. He had a previous season-high nine points against the Mountaineers. The career resume boasts 579 rebounds, 619 points and 78 blocked shots in his career as a Red Raider that includes trips to the NCAA tournament in 2016, 2018 and this season. A Fort Worth native, Odiase is shooting 58.5 percent from the field this season and is 241-for-455 (53.0 percent) in his career. He had his previous career-high 13 rebound performance in the win over Southeastern Louisiana on Nov. 13 after a 10-rebound game against Mississippi Valley State. Odiase scored seven points to go along with his seven rebounds against Duke after going 3-for-4 from the field and finished with 91 rebounds and 20 blocks in conference play. Francis scored six points in the win over Gonzaga with one 3-pointer after making two 3s in the first-round win over the Norse. He is now averaging 6.1 points and 1.4 assists per game in his senior season where he has made at least one 3-pointer in 25 games. He had five points against Buffalo and four against Michigan. A senior guard, he went for 12 points and four rebounds on his Senior Night after hitting two 3-pointers against Texas and followed it with two big second-half 3-pointers against ISU in the regular-season finale. A reserve in 35 of 36 games this season with an average of 23.6 minutes per game, Francis had a streak of seven straight games with a 3-pointer end at OSU in conference but comes into the Final Four with 40 3-pointers this season which is fourth on the team. A Dominican Republic native, he started his career at Florida before transferring to Lubbock where he averaged 5.1 points per game with 33 3-pointers as a junior during the Elite 8 run, including a career-high 17 points in the win over West Virginia. Francis scored 13 points in the opener against UIW and would contribute 10 points and a career-high six assists in the neutral-court win over Memphis. He has scored 408 points in 73 games in his career for the Red Raiders. Kyler Edwards is coming off a game against Gonzaga where he scored eight points with two 3-pointers to help the Red Raiders advance. He also hit two second-half 3-pointers in the win against Buffalo in the round of 32 and had one against Michigan. He is averaging 5.3 points and 1.1 assists per game in his freshman season where he recorded a career-high six assists and added eight points in the win over OU and shot 32.4 on 3-pointers in conference play. Edwards is currently 5-for-7 on 3-pointers and is averaging 4.3 points per game through the first four rounds of the NCAA Tournament. He scored nine points in two conference games, first in the home game against KSU and then against Iowa State before going 3-for-3 from the field for eight points in Norman. A guard from Arlington, he has scored nine or more points in eight games this season and has recorded four double-digit scoring performances. Edwards recorded a career-high 19 points against Northern Colorado where he went 7-for-7 from the field with four 3-pointers. Texas Tech sophomore Deshawn Corprew is averaging 5.3 points and 3.5 rebounds per game this season. Corprew scored five points with one 3-pointer and also had three rebounds against Buffalo before having four rebounds in the win over Michigan. In the regular season, he was 5-for-6 from the field with 12 points in the win at TCU and followed it by recording seven points and six rebounds in the win over Texas at the end of the regular season. A transfer from South Plains College, he recorded a double-double with 13 points and 10 rebounds against UTRGV. Corprew, who made his only start of the season in that game against UTRGV, was 6-for-8 from the field to match a previous career-high of 13 points that he also had against Northern Colorado. Avery Benson scored a career-high five points against Baylor after recording a career-high three steals in 11 minutes against WVU, while Parker Hicks scored a career-high with five points against the Mountaineers. Hicks was 2-for-4 from the field, including hitting one of the eight 3-pointers by the Red Raiders in the 31-point win. MICHIGAN STATE SPARTANS: Cassius Winston leads the Spartans this season with 18.9 points per game and 289 assists in his junior season. A Detroit, Michigan native, Winston was named a Consensus All-America on Tuesday along with Culver and was also the East Region’s Most Outstanding Player. He is also a finalist for the John R. Wooden Award along with Culver. Winston is coming off a game against Duke where he went for 20 points and 10 assists in the one-point win. Michigan State also got 19 points and nine rebounds from Xavier Tillman against Duke and 10 points and nine rebounds against Kenny Goins. Tillman is averaging 10.1 points and 7.3 rebounds per game this season, while Goins is averaging 9.0 rebounds and 8.1 points per game and Matt McQuaid is at 9.8 points and 3.0 rebounds coming into the matchup against the Red Raiders. Aaron Henry led the Spartans with 20 points and had eight rebounds in their Sweet 16 win over LSU and is at 5.9 points per game on the season. Michigan State won the Big 10 Championship with a 65-60 win over Michigan on March 17 which was its third win of the season over the Wolverines. The Spartans were 16-4 in conference play with two losses coming to Indiana along with dropping games against Purdue and Illinois. MSU was 15-1 at home this season and brings a 9-1 neutral-court record to Minnesota where the program will be playing in its 10th final four. The Spartans are averaging 78.3 points per game and have limited their opponents to 65.1 points per game and 37.9 percent shooting. The team is 9-1 in the past 10 games, outscoring their opponents by a 74-63.5 margin and is shooting 48.5 percent from the field during that stretch. Goins has made 26 3-pointers in the last 10 games and has made 56 for the season. Winston leads the Spartans with 82 3-pointers this season, while McQuaid has made 70 for the team that is making 38.0 percent of its shots from beyond the arc this season. At the free-throw line, MSU shoots 75.2 percent, led by Winston who is at 83.5 percent with 157 makes. In the common-opponent category, MSU opened its season with a 92-87 loss to Kansas and is 2-0 against Nebraska and 3-0 against Michigan. Tech is 1-1 against Kansas and 1-0 against Nebraska and Michigan.